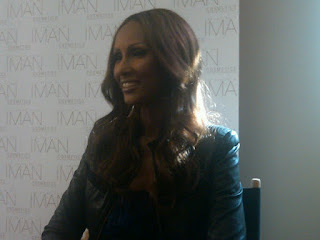 Yay, I'm back from meeting IMAN yesterday, in NYC. Can't wait to fill you in about the experience, tips, pictures and videos. 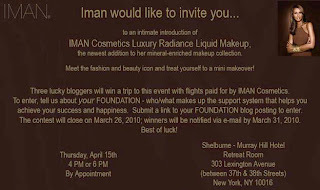 ... And yes, there will be a giveaway!